Alizabethy - Card Making Addict! 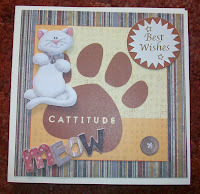 : Cattitude! Yehhh! 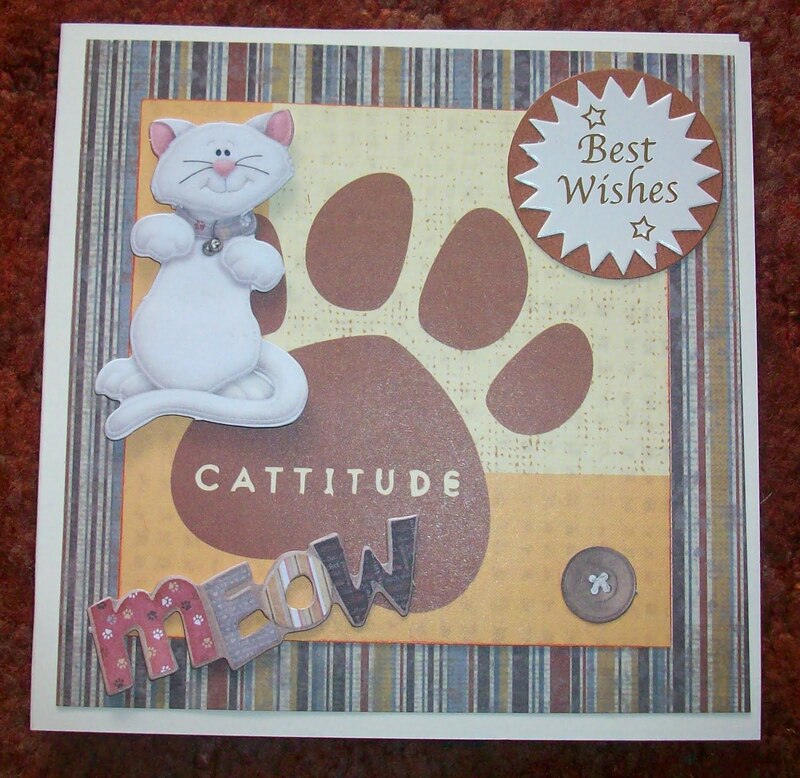 I had a super time at the scrapbook and cardmaking fair today and bought far too much - but in my defence most of them were absolute bargains including a fab cat & dog scrapbooking kit with 10 sheets of 12x12 papers, loads of matching embellishments, rubs ons and ribbons for only £5. I was also introduced to the delights of silkies pearlescent paints and made an atc with them there and so just had to buy 3 to bring home. Also treated myself to more flowers & brads, new pair of scissors, football shaped buttons and some yummy papers.